Betty had the good fortune to be a student of Lama Yeshe and Lama Zopa in the early 1980s at the time when Tara House (now Tara Institute) was first set up in the Melbourne suburb of Kew. She made a significant contribution to the establishment and administration of the center at that time. Betty remained a devoted student of Mahayana Buddhist teachings for the rest of her life. 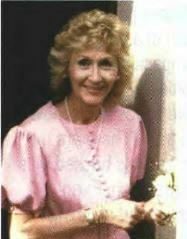 She returned to South Africa in 1983 where she was born, returning to Australia in 2004 with her second husband Paul. Ven Tenzin Chodron offered prayers in the loving company of Paul, her sons Mark and Murray, and her first husband, Garth. Read the complete obituary as PDF. 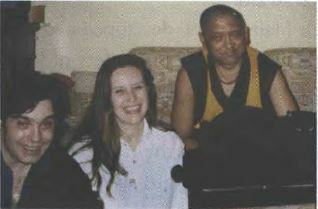 Hazel Cullimore was one of the warm-hearted elders at Lama Yeshe Ling Tibetan Buddhist Study Group in Ontario, Canada. She had a Master of Social Work and was a Psychoanalyst. For years she had advised on ethics for McMaster University Hospital. She was a wise and compassionate woman whohad made a difference to countless people through her career and her caring friendships. In the last year, she led our group, Companions on the Path, as we studied “Ethics for the New Millennium” by His Holiness the Dalai Lama. Pascal was a joyful person, a talented musician, composer and guitar player. He received the Kalachakra teachings and initiation from His Holiness the Dalai Lama in New York and attended many teachings from Lama Zopa Rinpoche as well as many other Lamas in the US and in France when I was director of Kalachakra Center.